Duskers is the rather unique strategy and survival game in procedurally generated worlds. You pilot drones into spaceships and figure out what's going on. Note: Key provided by developer. The developers have put up an opt-in open beta under the name "Future", this adds in official Linux/Mac support for whenever this is pushed to the stable branch on Steam. It's a really cool idea for the game, and it makes use of a terminal window too. 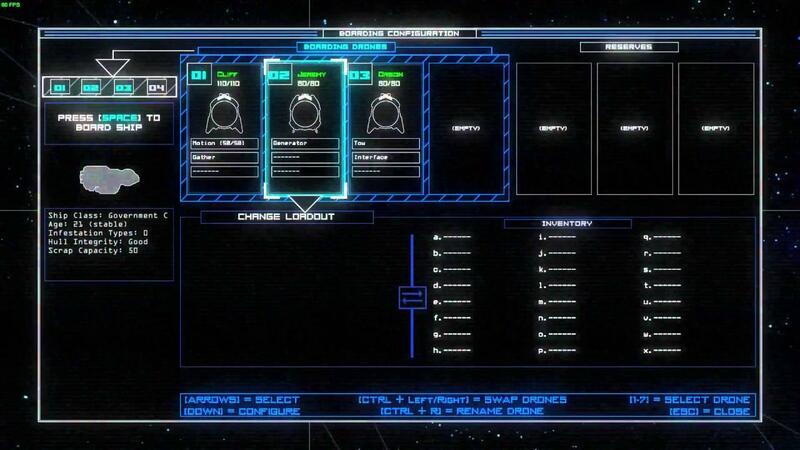 You will at times need to enter some basic commands for things like opening airlocks, motion scanning and more. You can also enter in commands to send certain drones to specific rooms by themselves. I absolutely love the graphical style of the game, mixing up a basic map view that gives you an overview of what's happening, to the drone piloting view which looks like some sort of night vision view. The graphics aren't heavy, or AAA quality but it's a great example of when graphics really don't matter. I don't often say that, but in this case it's true, the style is simple and awesome at the same time. I recommend checking it out, as it has certainly captured my interest. It's the type of game that will actually make me feel more comfortable using the terminal in future, so that's pretty cool. I am keeping a keen eye on this one. Can't wait to see it evolve some more. I've been keeping an eye on this game too, and it looks really cool. It has the whole terminal/robot stuff going on that I like; after all I'm using Gentoo Linux and building Arduino robots in my spare time. This game looks really cool. I love the "futuristic retro" vibe, and the whole idea of interacting with the game using a command line really appeals to my inner Linux geek. So sounds like we could look into the Drone Upgrade summary window and the forward sometimes not responding. Please keep up the feedback and thanks so much for helping us get this stuff working! "